April, 1976. Becky at 10 months with the dogs. 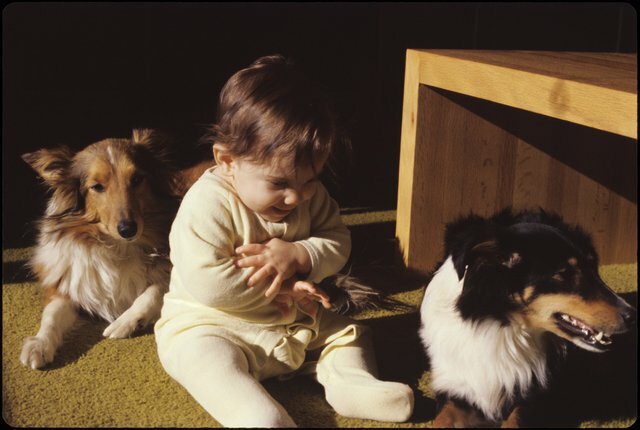 I don't remember all the dogs, but the brown one is probably Penny and the black one may be Circe. Or Scylla?